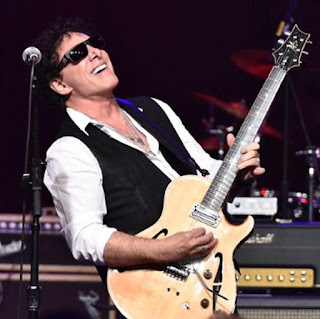 Neal Schon has expanded his “Journey Through Time” tour with the addition of two recently-announced concert dates. Following a warm-up gig at the Jackson Rancheria Casino in Jackson, CA on February 22 and the trek’s official opening night at the Fox Theater in Oakland, CA on February 23, Schon has added a March 1 stop at The Van Buren in Phoenix, AZ and a March 2 show at The Orpheum in Los Angeles, CA. Tickets for the newly-added dates are now on sale. Schon is previewing the 2019 tour with video footage from a February 2018 benefit concert that raised funds for those affected by the California wildfires at the time – check out “Feeling That Way/Anytime” from 1978’s “Infinity” and “Mystery Mountain” from the San Francisco band’s 1975 self-titled debut album, below.